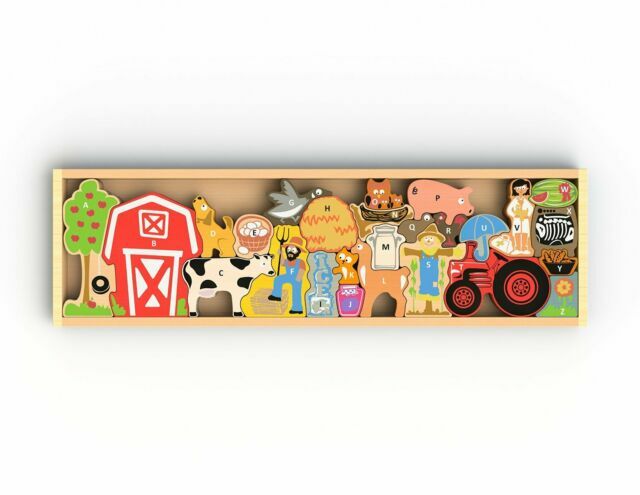 The Farm A to Z Puzzle—The newest addition to BeginAgain's popular line of wooden alphabet puzzles, The Farm A to Z is a complete farm playset and a learning toy in one. 26 piece chunky puzzle. Scholastic gold star award winner. Melissa & Doug Alphabet Train Floor Puzzle 28 Pcs 10 Feet Long.